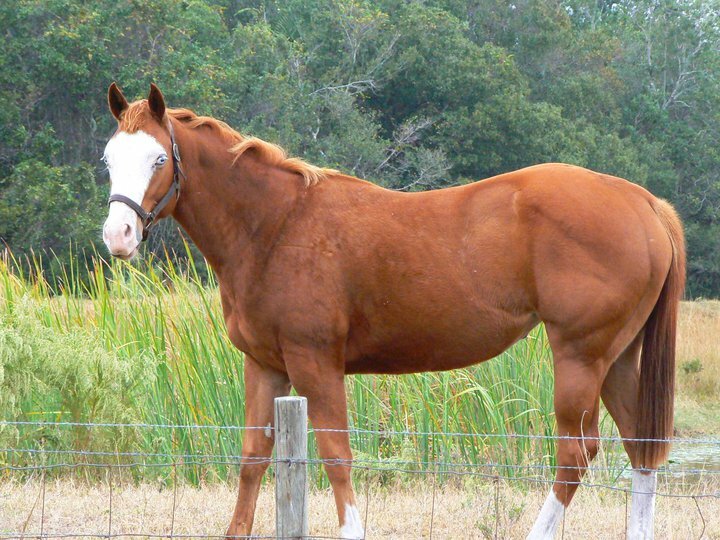 Sweet Tea is a 8 year old registered APHA sorrel mare. She is very laid back and likes attention. She has beautiful blue eyes and a bald face. We have to keep sunscreen and fly mask on at certain times of year due to her sensitivity to the midday sun. She is one of those horses, like Ruby, that is content alone or with friends. She can often be found grazing in the big field alone, while the rest are waiting at the gate at the front of property. She is a slow mover and can be found at the back of the group, in no hurry and taking her time.